Before we get into this week’s issue, we have a question.Do you sell in China? Are you selling on Amazon, with a CN marketplace account?If so we’d love to hear from you. We’re adding the China marketplace to ManageByStats, and are looking for some early testers. If you’re selling in China, and you’d like to help, you can reply directly to this email and let us know.Thanks!Now on with the show.That’s actually a great segue, since one of the first things we want to tell you about this week is an upcoming show, called Prosper, which we’ll be attending in March. Check the MBS Out & About section for more.Learn 3 critical eCommerce trends for 2019 under Sellers’ Paradise. Under Tips & Tricks we show you how to quickly and easily compare this year’s sales with last. 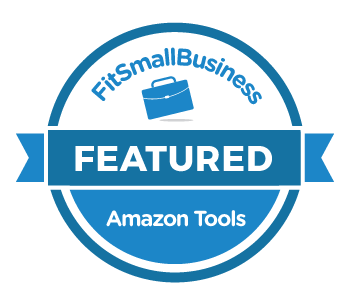 And under The World of Amazon we’re bringing you two stories; Business Analytics to Rule FBA, and early results from this year’s holiday shopping season.Have a great week! This week we want to talk briefly about the Dashboard, and specifically a tip for your Dashlets we think you’ll find useful.You can add multiple Dashboards, and on each Dashboard you can add a wide variety of Dashlets, customized to your needs. You may have added Dashlets with “Prior” period info, such as Yesterday, Prior 15 Days, etc., but did you know you can also add “Last Year” data for the same period?This can be very useful, at-a-glance, to see how your current sales compare with the same time last year.When you add a Sales Dashlet, you’ll notice you have three options for the interval you’re selecting: If you select all three, you see something like this: Giving you a clear picture of how you’re doing during that current period, how you did in the prior period of the same length, and you did for the same period the last year. To learn how to invest his inheritance. To find a wife to share his fortune. One evening at an investment meeting, he spotted the most beautiful woman he’d ever seen. Her natural beauty took his breath away.“I may look like just an ordinary man,” he said to her, “but in just a few years, my father will die, and I’ll inherit millions.”Impressed, the woman obtained his business card. Two weeks later, she became his stepmother.Women are so much better at estate planning than men. “Make your life a masterpiece; imagine no limitations on what you can be, have or do.”- Brian Tracy All the best,Your ManageByStats Team Read Our Newsletters Online! And don't forget to share ManageByStats with your friends. Our affiliate program pays you an ongoing 25% referral commission.See the Affiliate menu under Settings in your ManageByStats.